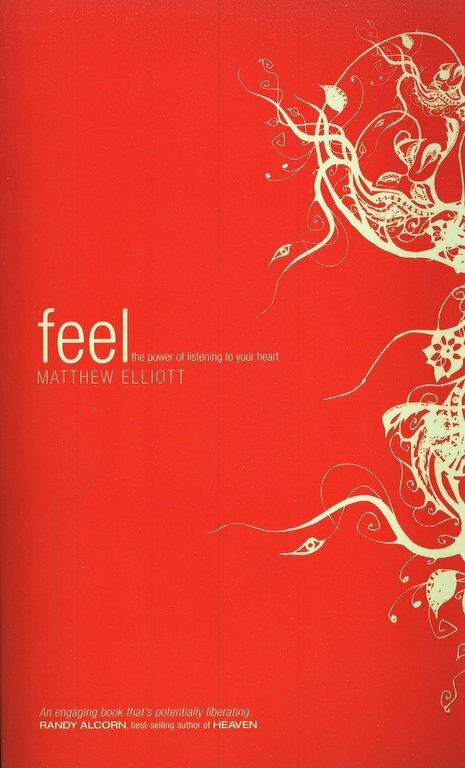 Editor's Note: The following is a report on the practical applications of Matthew Elliott's new book, Feel: The Power of Listening to Your Heart, (Tyndale House, 2009). The myth that emotions are unreliable and even dangerous has led far too many Christians to suppress or ignore their feelings. But a life stripped of emotions leads only to a deadened faith that’s little more than fulfilling duties. God created feelings to work together with thoughts and help lead you to the truth. Feelings are gifts meant to help drive you to become your best. Recognize the value of your emotions. God intends that you feel passion for Him that motivates you to live a faithful life. Your faith isn’t meant to be reduced to just a list of moral dos and don’ts. Instead of living by duty and burning out, you should be living by love and growing stronger in your faith. God Himself is an emotional being, and He calls you to connect with Him emotionally as well as in other ways. Your emotions are valuable tools to help you see the truth in life. The Bible is full of stories of people whose feelings – of love, hope, joy, jealousy, anger, grief, and more – helped them grow spiritually. The health of your spiritual life can actually be measured by how you feel. Do you feel deeply about what matters most to God and about the circumstances you encounter? Or are you numb to life? God created your emotions to be powerful forces you can use to help change the world for the better. Pay attention to your emotions. Don’t ignore or suppress your feelings. Give yourself permission to really feel your emotions. Practice identifying exactly what you’re feeling, and why, in various relationships and situations. Ask God to help you recognize what’s going on in your heart, and to give you the courage to pay attention to your feelings. Use your thoughts and feelings together. Your feelings were never meant to be separated from your thoughts; the two have been designed to work together to help you discover truth. Even though some people in the culture and the church may say that feelings aren’t reliable indicators of truth, emotions are far from trivial or useless when making decisions. Emotional understanding often leads to the clearest thinking. Don’t make decisions on the basis of your feelings alone, since that would be unreliable. But if you use your feelings and thoughts together, you can best understand what God is calling to you to do in various situations. When your thoughts and feelings are working together, they can give you a much more accurate snapshot of truth than is possible just from rational thinking alone. Pursue a new heart. It’s not enough to simply pursue a deeper knowledge of God. God wants you to ask Him to transform your heart. Rather than just seeking to learn more about God, seek to connect with God in love. Love – not just a deep knowledge of humanity’s sin and need – what was motivated Jesus to die on the cross to save the world. Love is the force God intends to motivate you to relate to Him and others faithfully. Ask God to give you a heart that’s constantly growing more loving. Express your emotions. Don’t hesitate to release your emotions – both good and bad. You need to deal honestly with every emotion you experience. Ask God to show you how you may have been hiding your true feelings from yourself and other people. Remember that God already knows exactly how you feel at any given time, and He loves you no matter what. Talk with God often about your emotions, and ask Him to help you express them in honest and healthy ways to the people in your life. Be passionate. Passion, which is fueled by emotions, gives you the motivation to do whatever God calls you to do and empowers you to achieve great results. Instead of serving God just out of a sense of obligation, because you know it’s the right thing to do, let your love for God fuel a sense of passion within you to serve. Passion will enable you to live a whole and healthy life – one that moves beyond drudgery and burnout, one that will help you discover joy even in the midst of pain. Passion will make it easier to obey God’s commands, because you’ll be motivated not just by what you should do, but because that’s what you really want to do. That kind of obedience will bring God’s power into your life. You can find fresh passion by: reading the Bible with a new perspective (as a story of real people feeling real emotions in their real lives in connection to a real God), engaging in vibrant prayer while walking outside in God’s creation, finding something bigger than yourself (like helping someone else in need) and pouring your heart into that effort, and letting go of attempts to control your own emotions while opening yourself up to feeling them fully. See your emotions as your friends, not your enemies. Rather than viewing your emotions as enemies that can cause you trouble, embrace them as friends, since God designed them to empower, encourage, and strengthen you. You can trust your feelings to counsel you about the people and situations you encounter. Ask God to direct your emotions in the right way. Choose to fill your mind with what God loves (which you can discover by getting to know the Bible well) and avoid what God hates (anything that glorifies sin or celebrates evil). Use your feelings about whatever you encounter in life to help you identify what you truly believe and what you value most. Then let your emotions motivate you to act faithfully in response to them. Keep in mind that even negative emotions like anger or jealousy can help you by showing you areas in which you need to grow. Understand what your feelings mean. Focus on your emotions and ask God to help you understand why you’re feeling a certain way. Consider whether your emotions are based on knowledge that’s either right or wrong. Pray for God to show you the truth, and base your emotions on that truth. Think about what your feelings reveal about your priorities – what you value most – and why. Then choose to line up your values with what God says is most valuable. In the process, He’ll transform you. Finally, consider what your emotions reveal about what you believe – and whether or not your beliefs are indeed based on biblical truth. If not, change the way you think, and your feelings will change in the process. Let your emotions lead you to a deeper understanding of your relationship with God. Grow important emotions. The Bible mentions four emotions that God wants you to grow: love (for God, neighbors, and goodness), joy (in God, good relationships, and the good things in life), hope (in God’s power and promises, and in your eternal destiny), and hatred (of evil). Read the Bible often, noticing what God wants you to feel. Then build those emotional understandings into your life. Don’t settle for less than the best God wants for you, which is to become emotionally whole. Keep unexpected emotions that come into your life. The feelings that come from unexpected experiences like sudden hardships have a special purpose in your life. If you pay attention to them instead of trying to deny them or throw them away, they’ll help you understand more about yourself and God. Go ahead and fully feel your emotions – no matter how painful they are – because they will lead you to rely on God more and grow closer to Him. Feel grief over loss, joy about victory, sorrow over pain, anger at injustice, etc. Be real with God, yourself, and other people. Trust God to enrich your life as you embrace your unexpected emotions. Be done with feelings that are directed in destructive ways. Emotions aren’t good or bad in themselves; they’re always tied to an object. When the object of your feelings is bad (something that motivates you to sin), you need to get rid of that emotional expression. Some examples: anger that destroys relationships; love of money; jealousy of others, possessions, or a position; and fear and worry about the future. Get rid of them by focusing on how they hurt you and other people, knowing how God feels about them, determining what they tell you about what’s really important to you in a particular moment, and comparing them to what you should believe about God and yourself. Connect your heart to God’s heart. Let God’s great love for you motivate you to love Him back and put love at the center of all you do in life. Serve God because you want to, not because you have to. Let your actions flow from passion, just as God’s own actions do. Ask God to keep transforming you every day so you can grow the heart He wants you to have. Adapted from Feel: The Power of Listening to Your Heart, copyright 2009 by Matthew Elliott. Published by Tyndale House Publishers, Wheaton, Ill., www.tyndale.com. Matthew Elliott has a PhD in New Testament studies from the University of Aberdeen. He is president of Oasis International, a Christian distributor of books and Bibles in the English-speaking, developing world. He and his wife, Laura, live in Geneva, Illinois, with their three children.